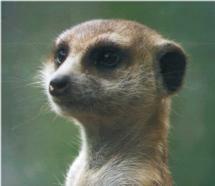 I am sure you know my name is not really Marki Meerkat... but hey that's of no importance. Suffice to say I am an Italian naturalised Australian, who after 8 long years in Italy managed to return the family to our great land of Oz. I use the pc for lots of things, among which running Seti@home, that way my AMD64 gets some use... Jokes aside, it makes me very proud to be a partecipant in this enormous task of finding Extra Terrestrial Intelligence. A big fan of the "Star Trek" saga, up to and including the prequel, "Enterprise" the new series; I am also well read on theoretical physics, obviously at an entry level. And it all comes together in pitching in my little contribution to this great project, strongly propelled forward by the great Dr Drake himself. I wish to take this opportunity to express my gratitude to the folks at SETI and at Berkeley for having given us "mortals" a chance to help them out in his incredible task. ... for a great outcome, finding other Civilisations that populate this wide Universe. A though that can give us humans a wide mix of emotions from fear, to elation, enthusiasm and sadness. But above all, the idea of not being alone in this Universe will mean one day the difference between the violent society we know today and a better world, as the one artfully protrayed in the Star Trek saga. I, for one, believe we are NOT alone in the Universe. The level of advancement of the other species and whether they are carbon based life forms... well... that's a whole different story.